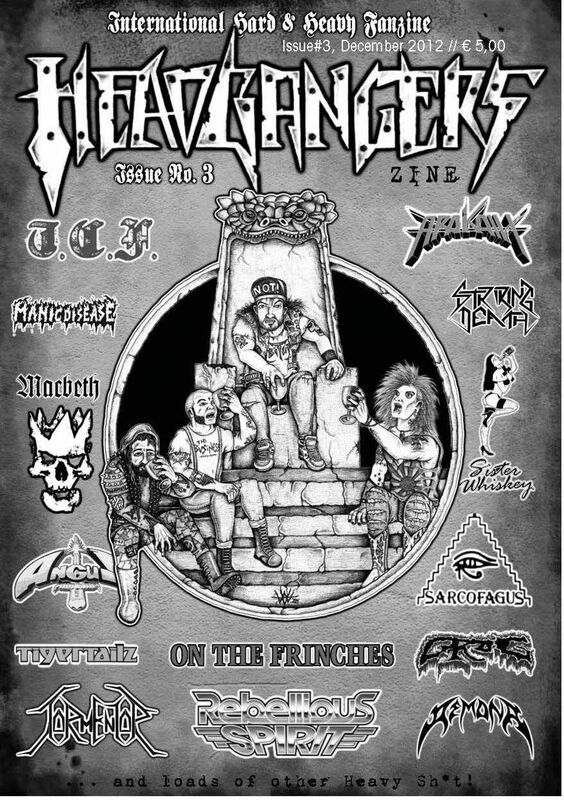 Headbangers Zine cooperates and exchanges articles with the following printed & online zines. 214 Pages of Old School Hard & Heavy madness, Reviews, Live reports and Interviews. © Headbangers Zine - 2018. © Headbangers Zine - 2017. © Headbangers Zine - 2016. 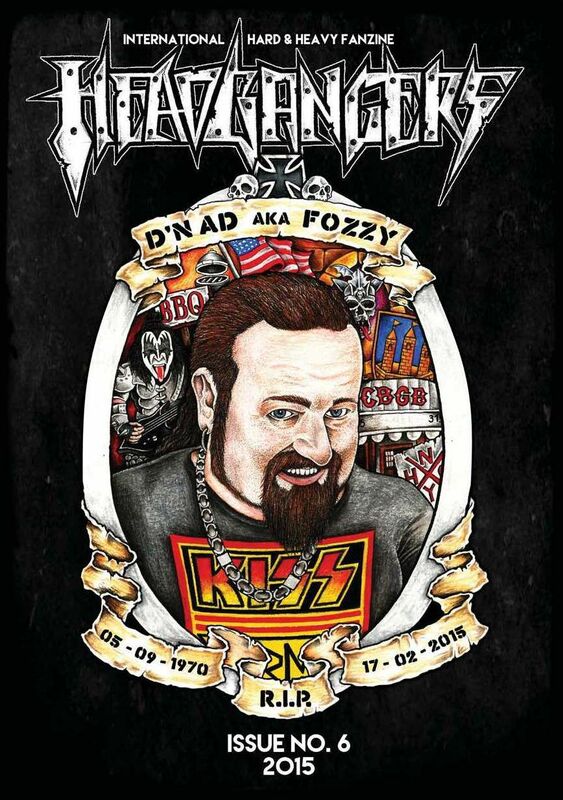 This 214 page issue is dedicated to Metal Tilburg Mayor d'n Ad aka Fozzy, who passed away on 17-02-2015 at the age of 44. Frank Stevens wrote a special article in memory of this remarkable Scene person. Reviews, Live reports, Interviews and more. Some featured bands: Blizzen, Babylon, Kreator, Exodus, Blackevil, Thanatos, Soulburn, Cryptic Slaughter, Midnight Prey, Morgoth. © Headbangers Zine - 2015. 214 Pages of Old School Hard & Heavy. Reviews, Live reports, Interviews and more. 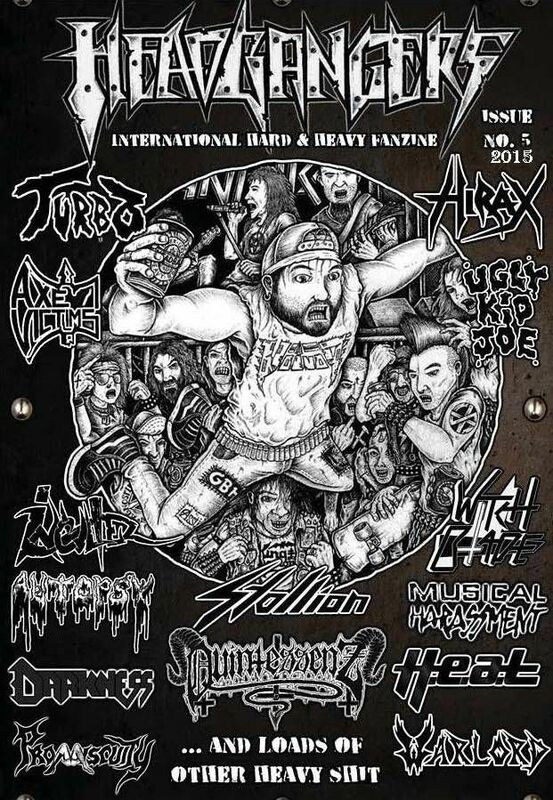 Some of the featured bands: Turbo, Axe Victims, Inculter, Autopsy, Darkness, Heat, Warlord, Witch Blade, Ugly Kid Joe, Stallion. © Headbangers Zine - 2014. 212 Pages of Old School Hard & Heavy. Reviews, Live reports, Interviews and more. Some of the featured bands: T.C.F., Macbeth, Angus, Tigertailz, On The Frinches, Sarcofagus, Grog, Demona, Tormentor, Rebelious Spirit and many more. 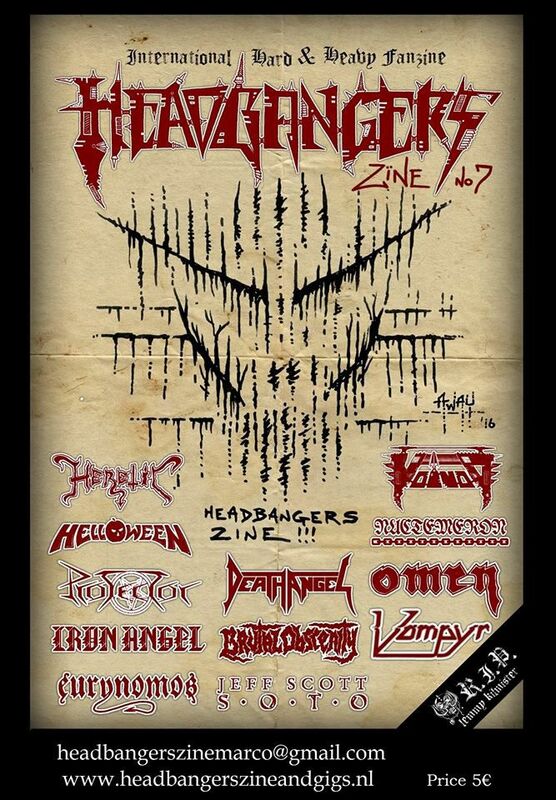 © Headbangers Zine - 2013. 214 Pages of Old School Hard & Heavy. Reviews, Live reports, Interviews and more. Some of the featured bands: Attic, Moritz, Insane, Toxik, Damien Thorne, Mucky Pup, Serpent, Grave, Titan and Tempter. 212 Pages of Old School Hard & Heavy. Reviews, Live reports, Interviews and more. 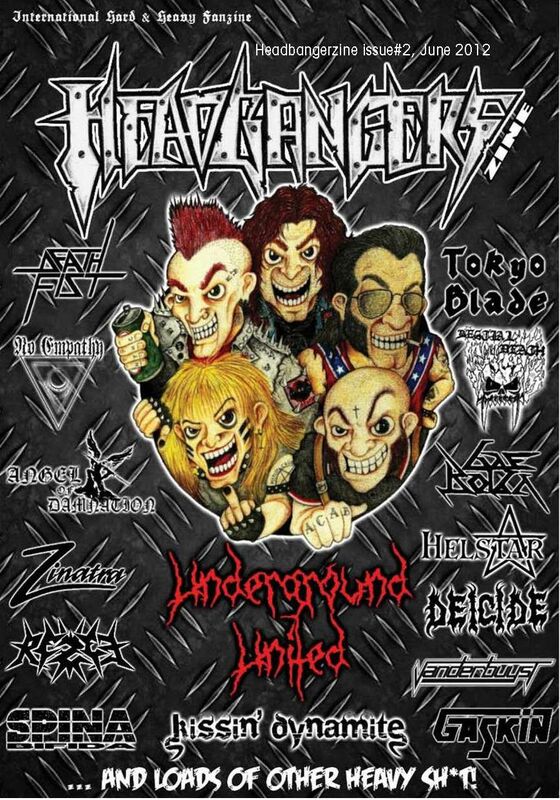 Some of the featured bands: Death Fist, No Empathy, Helstar, Bestial Death, Vanderbuyst, Deicide, Gaskin, Tokyo Blade,Kissin Dynamite, Spina Bifida. © Headbangers Zine - 2012. 212 Pages of Old School Hard & Heavy. Reviews, Live reports, Interviews and more! 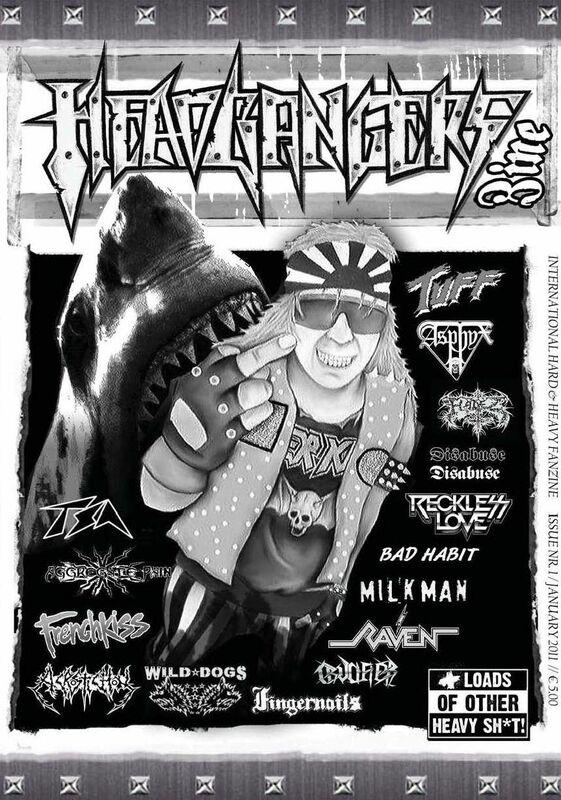 Some of the featured bands: Tuff, Asphyx, TSA, Raven, Wild Dogs, Bad Habit, Disabuse, Acrostichon, Fingernails, Reckless Love and many more. © Headbangers Zine - 2011. Headbangers Zine coöperates and exchanges articles with the following printed & online zines.